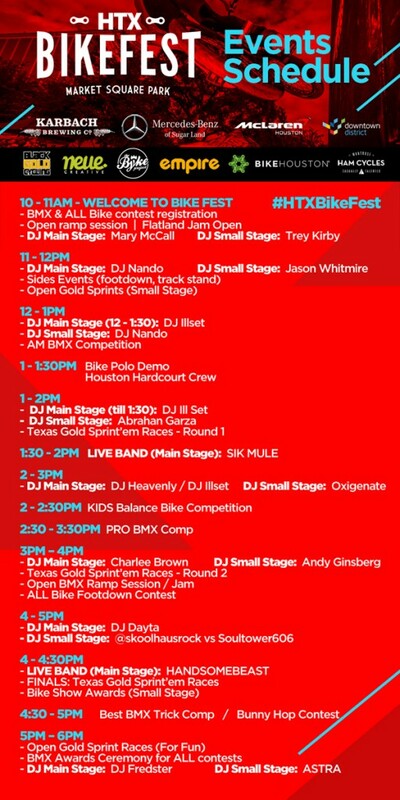 HTX Bike Fest will feature several local DJs who will be on hand all day long to bring good vibes through their music. If your'e interested in playing at this year's festival please contact us for details. Below is the Line Up and Schedule far for 2016.